So here are my easy Christmas Santa crackers. 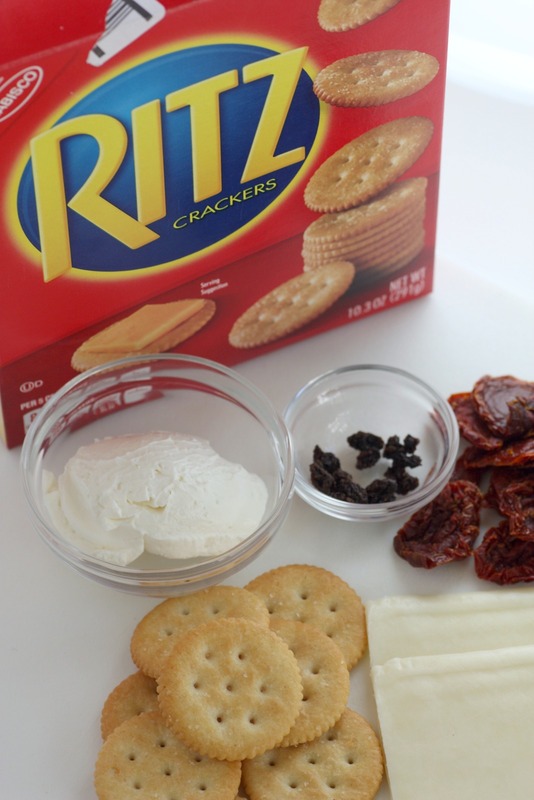 I used Ritz Crackers as the base, then added sundried tomatoes, jack cheese, a touch of cream cheese, and currents. 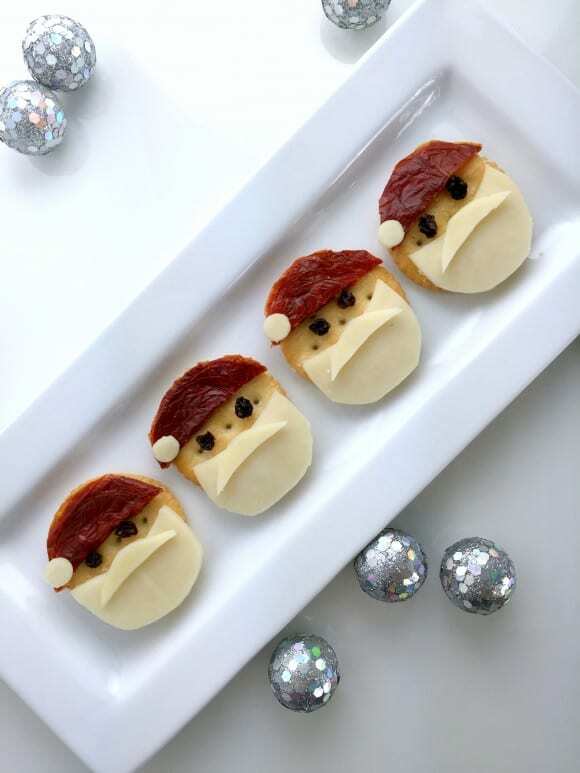 They're cute and they taste yummy -- crunchy, buttery, cheesy, creamy, bright, and sweet. I've even included the stencil for the cheese beards and mustaches, so you can cut them out easily. Here are all my shapes cut out. 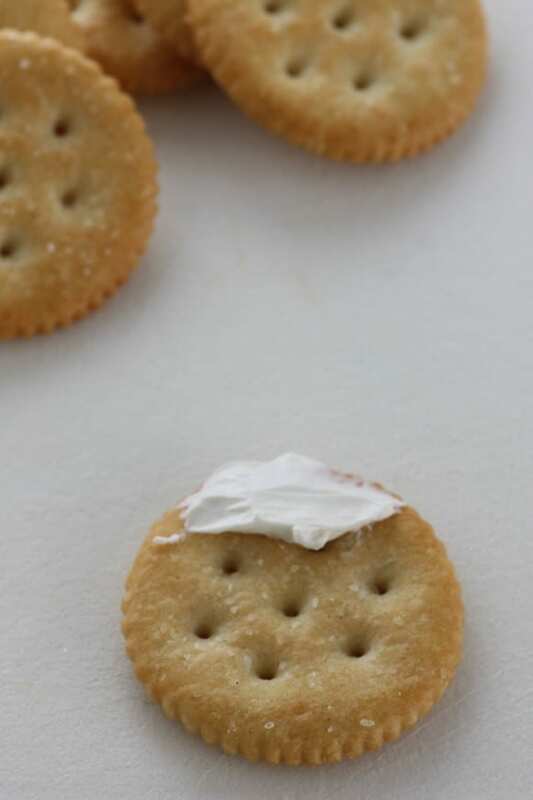 Spread cream cheese on the top of the Ritz cracker using the back of a spoon. 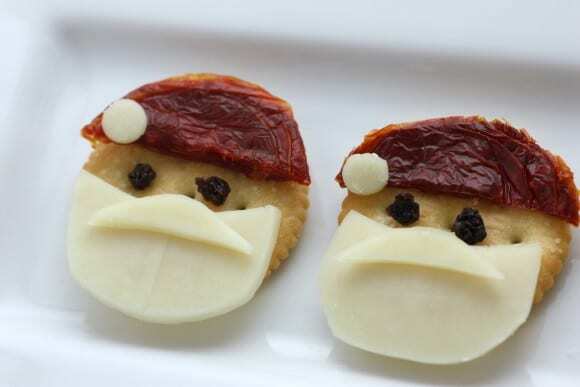 Cut the sun dried tomato in half and place it over the cream cheese for the Santa hat. 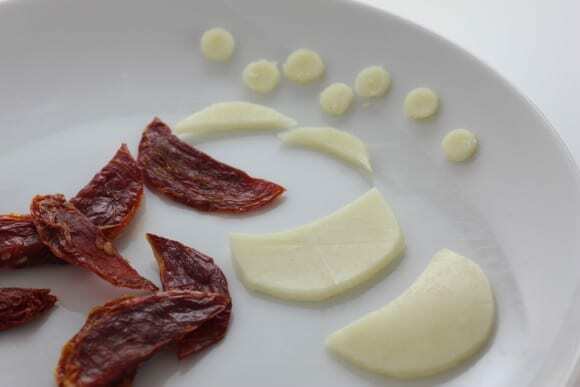 You might want to cut the tomato into more of a moon shape instead of a half circle, but it's up to you. 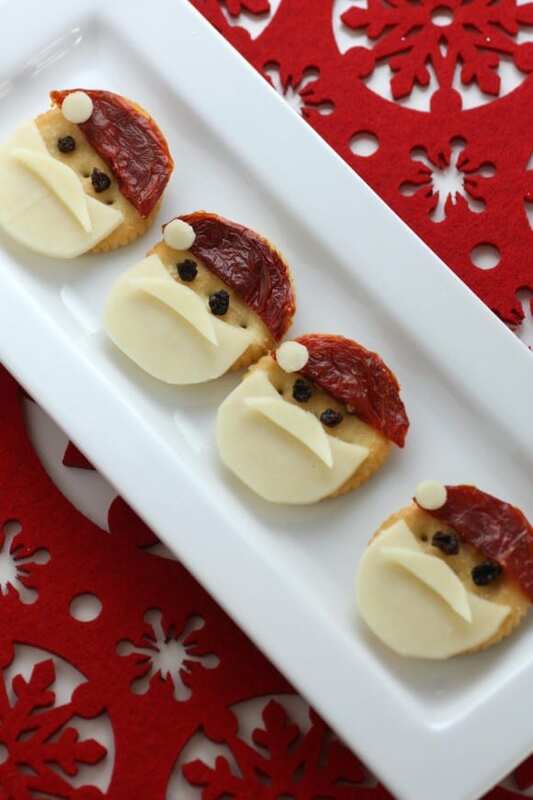 Using a toothpick, add a tiny dot of cream cheese to each current and attach as eyes. 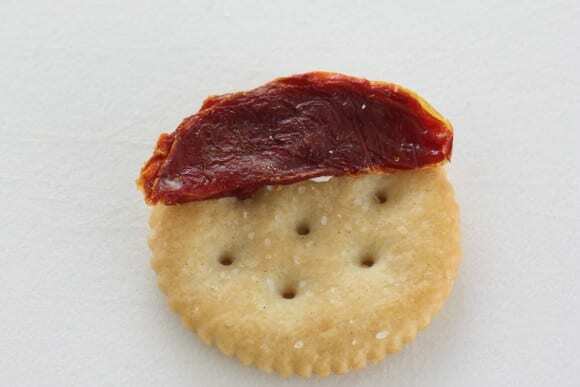 Spread cream cheese on the bottom of your cracker and attach the jack cheese beard. 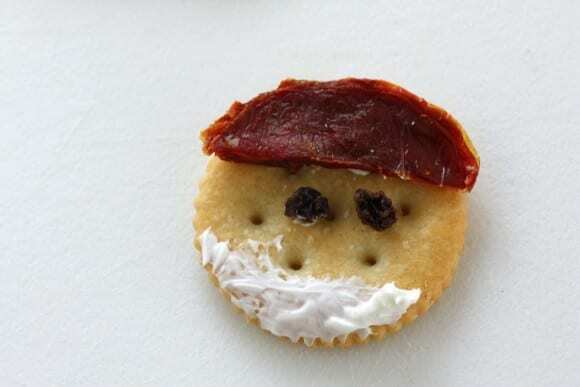 Spread a tiny bit of cream cheese on the mustache and attach it to the beard. Add a dot of cream cheese to the pom pom and attach it to the hat. There you have it! Aren't they cute?! TIPS: To get the right size pom pom, I cut them them out using the inside of a pen holder and then popped them out with a long skewer. Here's a stencil to download. Use it to trace with a knife, the cheese beards and mustaches that fit onto Ritz Crackers. If you make some of your own, please send a photo to jillian(at)catchmyparty(dot)com. I'd love to see how yours turn out! The best presents aren't always under the tree. RITZ; Life's Rich.